I moved to the Leach after a week camping nearby and getting to know the local area. The weather was perfect all week! There is a team of 7 currently working at the Leach. 3 permanent members of staff and 4 apprentices from various countries. My first day involved health and safety, observation, waxing bottoms and glazing pots. 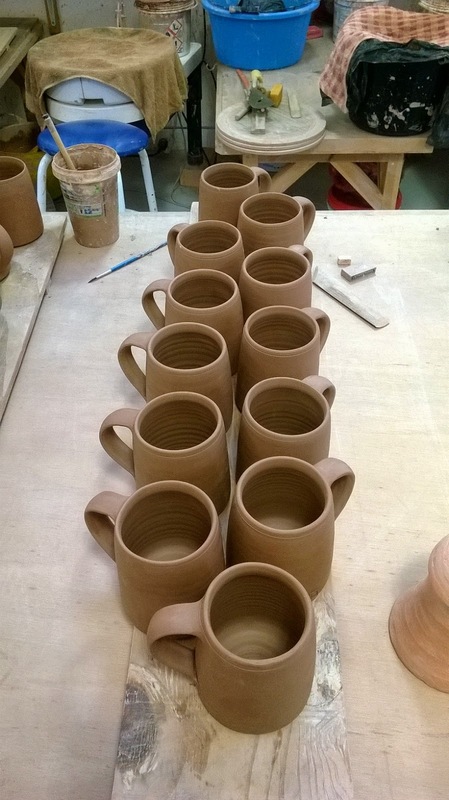 Then on the second day I moved on to throwing mugs, which I continued to do for the rest of June! The shape is really subtle and takes everybody a while to get right, I was told at least 100 mugs. After a week they were good enough to keep and put handles on, so then I spent a few days getting the handles right. These are the Leach Standard ware mugs, which are sold in the shop, in galleries and through Seasalt, the Cornish clothing company, so half of the mugs I make I stamp with the Seasalt stamp. They have their own range of mugs that they sell through their catalogue and in their shops. This is my wheel and work area. The practise and repetition of throwing and maintaining the same shape is the best way to improve my throwing skills. Once a week we do a studio clean to keep the dust away and make sure tools etc are returned. 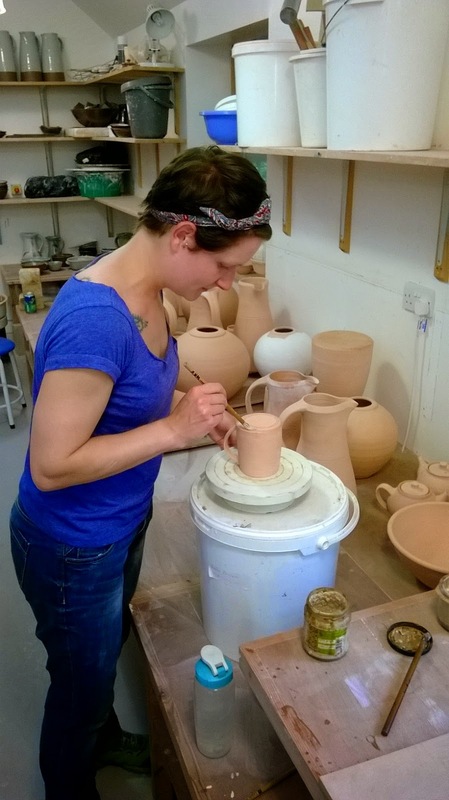 Various potters from around the world come to the Leach and run workshops and do talks. This month Yoh Tanimoto http://www.gallerygen.com/art/tanimoto-y.html came in and demonstrated his throwing technique and talked about his work. All of the apprentices are invited to attend these talks.